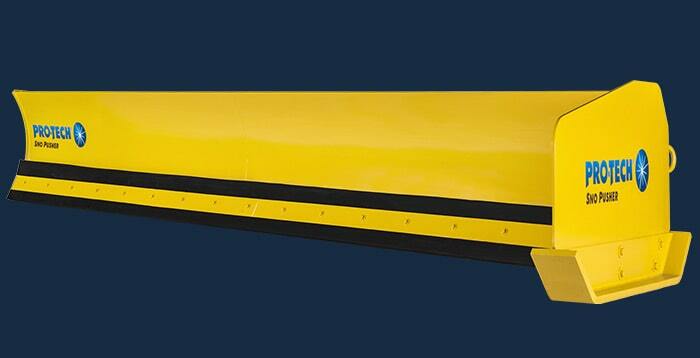 Whether it’s for branding purposes or to improve your plowing performance, Pro-Tech offers several custom options to make your snow pusher/snow plow truly your own. 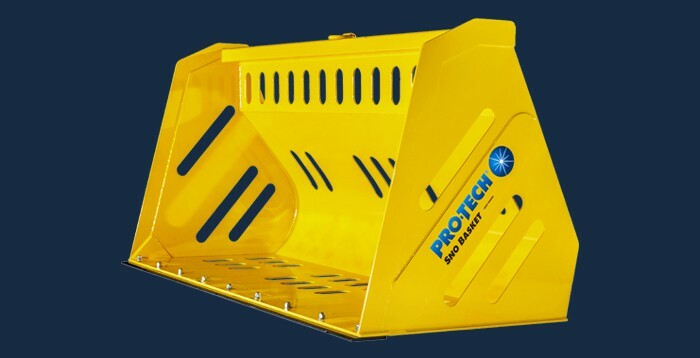 At Pro-Tech we know every property and operator is different. 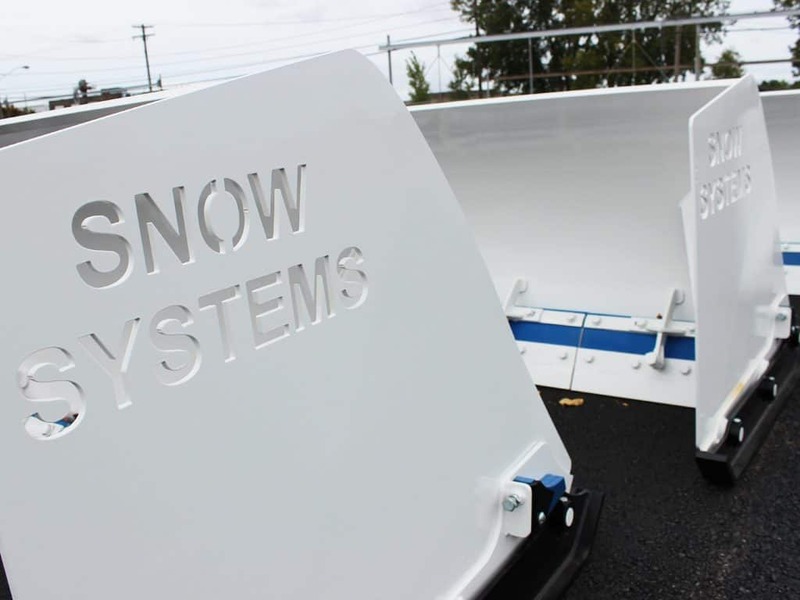 That’s why we offer several wear shoe options for your snow pusher that can improve longevity and performance. 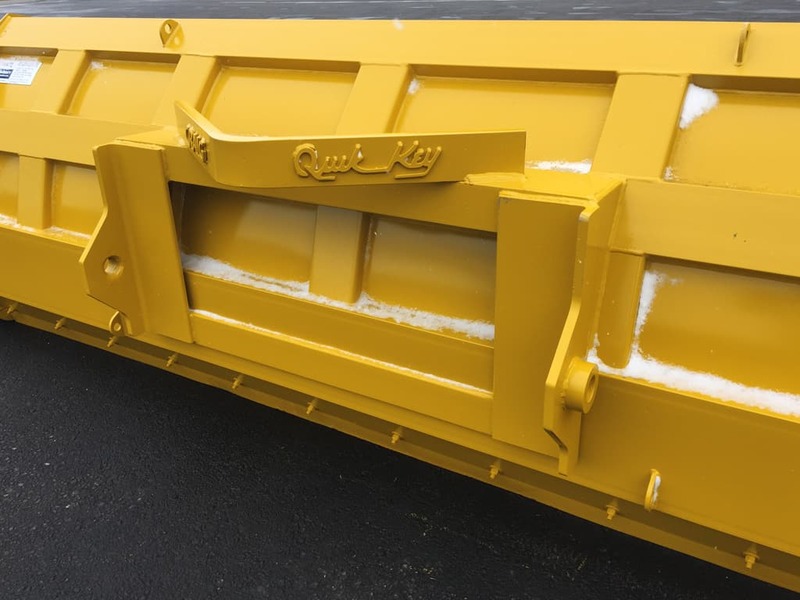 Poly Shoes (UHMW): Some properties that are made of sensitive materials require more attention when clearing snow. 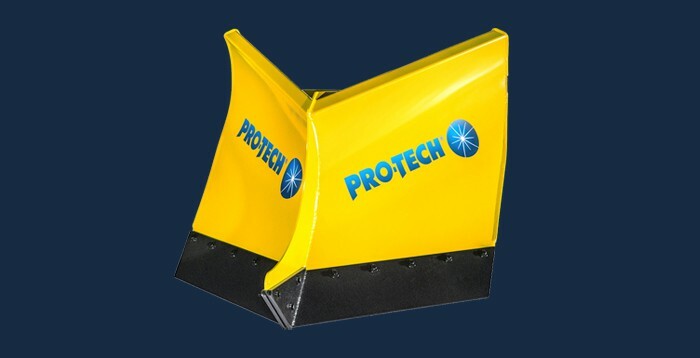 Pro-Tech’s Poly Shoe is made of ultra-high-molecular-weight-polyethylene which minimizes friction between the shoe and plowing surface. 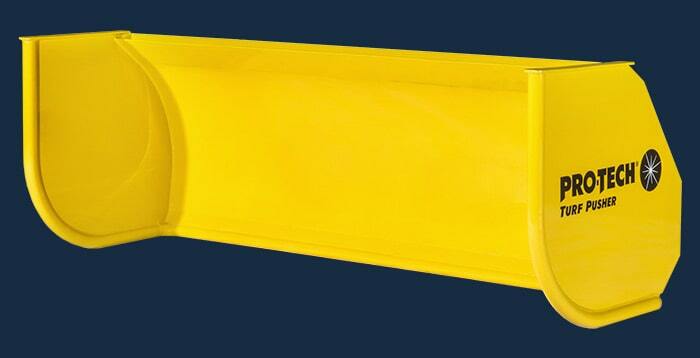 The pads on the Poly Shoe can be easily replaced when worn. 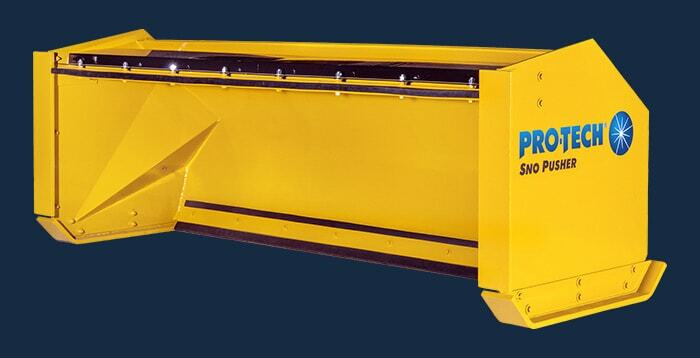 Perfect for: Properties that require delicate plowing such as pavers, parking garage membranes, etc.). 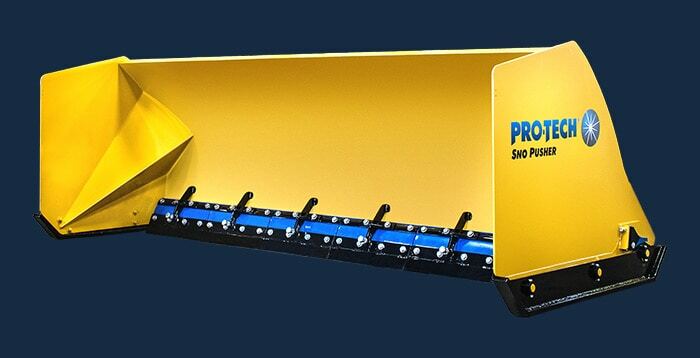 All of Pro-Tech’s standard loader, backhoe, and compact tractor models come with a post style connection. 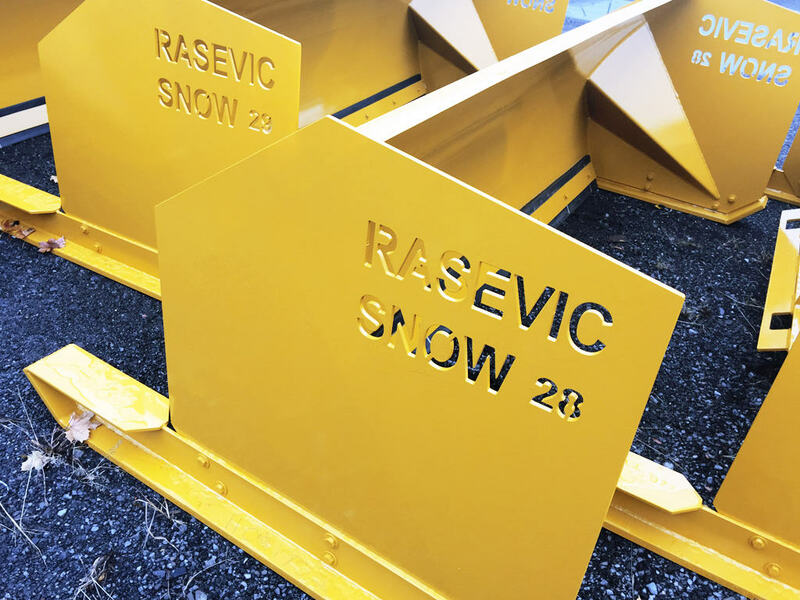 Skid Steer models come standard with a universal skid steer connection. 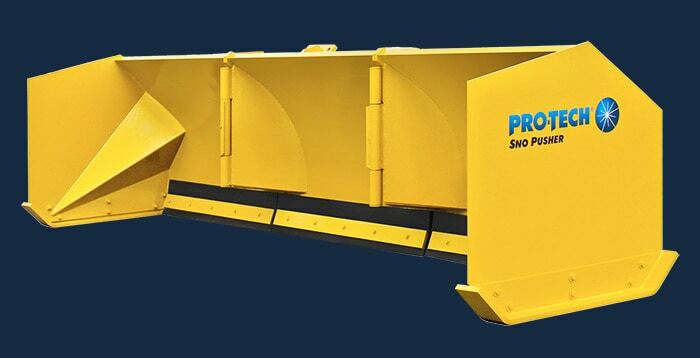 Some customers prefer to have their snow pusher fitted with a specific coupler style. 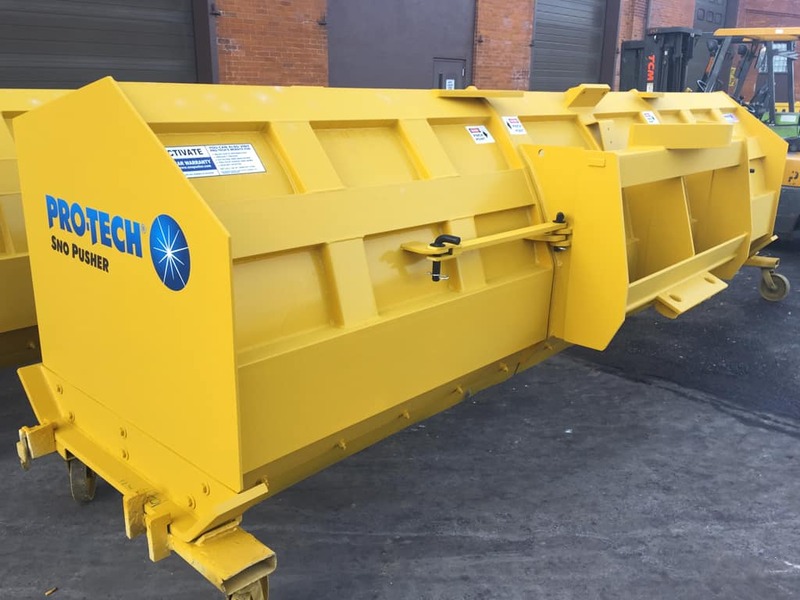 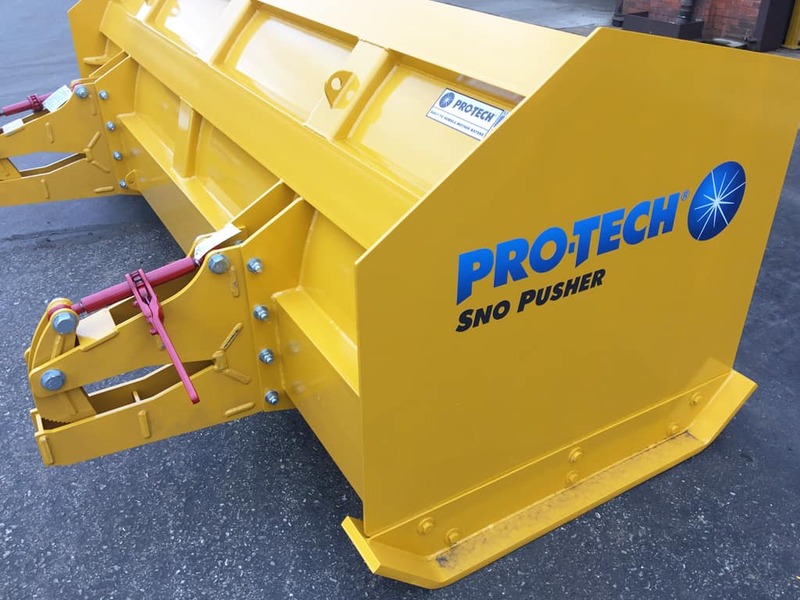 At Pro-Tech we can customize your Sno Pusher with a number of connections such as Volvo, JRB, CAT IT, ACS, Balderson, CAT Fusion, Euro, and more. 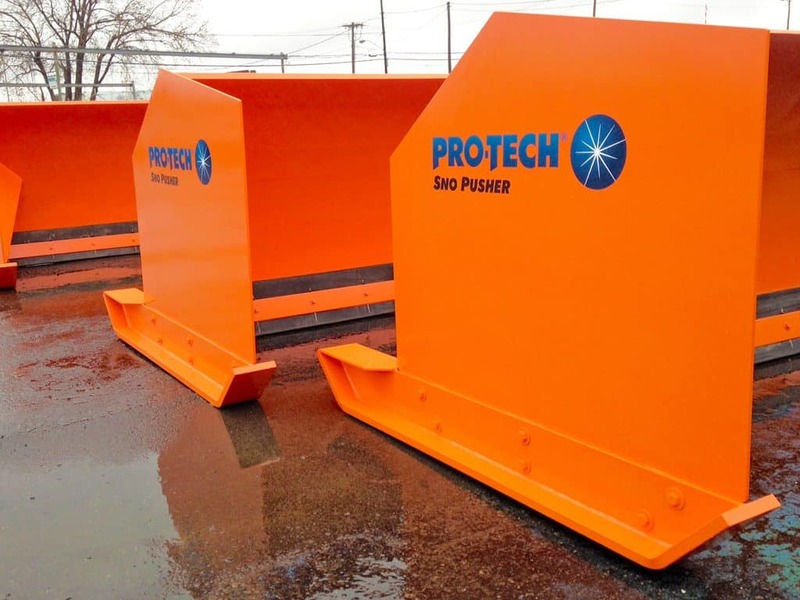 Pro-Tech also recently introduced the Bucket Clamp, a new custom connection that eliminates loose chain and binder kits. 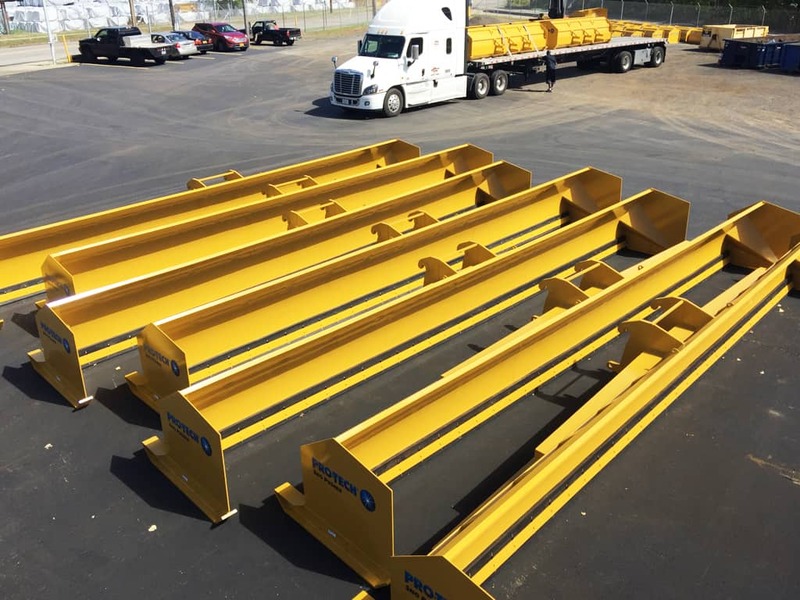 Are you interested in applying a custom connection yourself? 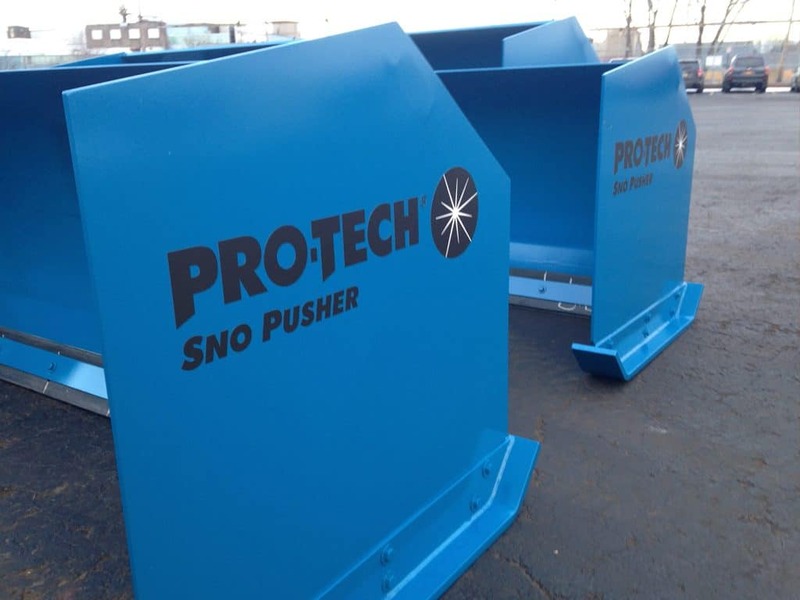 Pro-Tech also offers snow pushers with “blank backs” meaning the back of the plow is flat, allowing you to weld on the coupler. 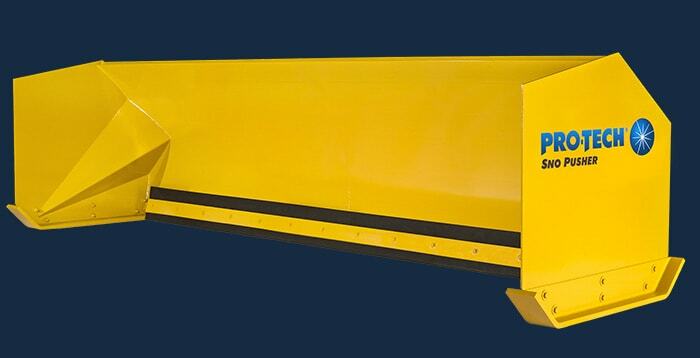 Does your company use specific colors on all of your equipment? 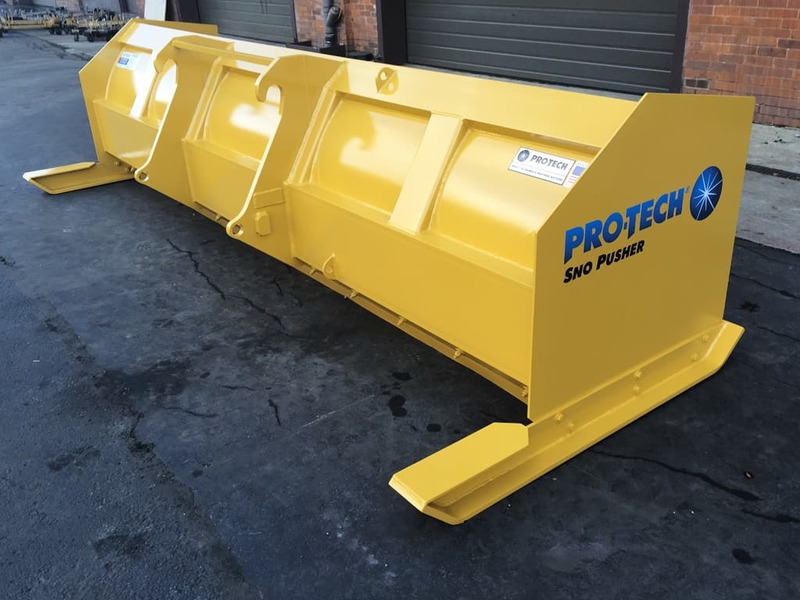 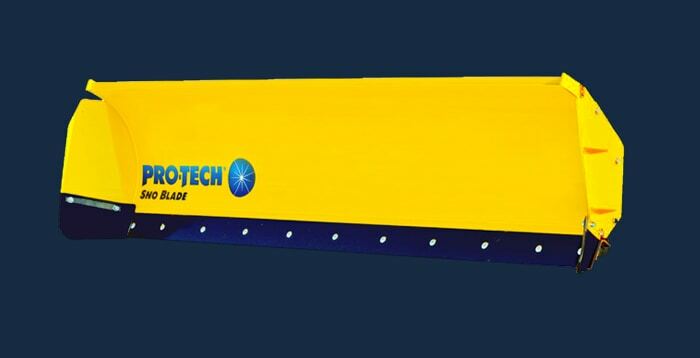 Pro-Tech can provide customers with many custom paint colors. 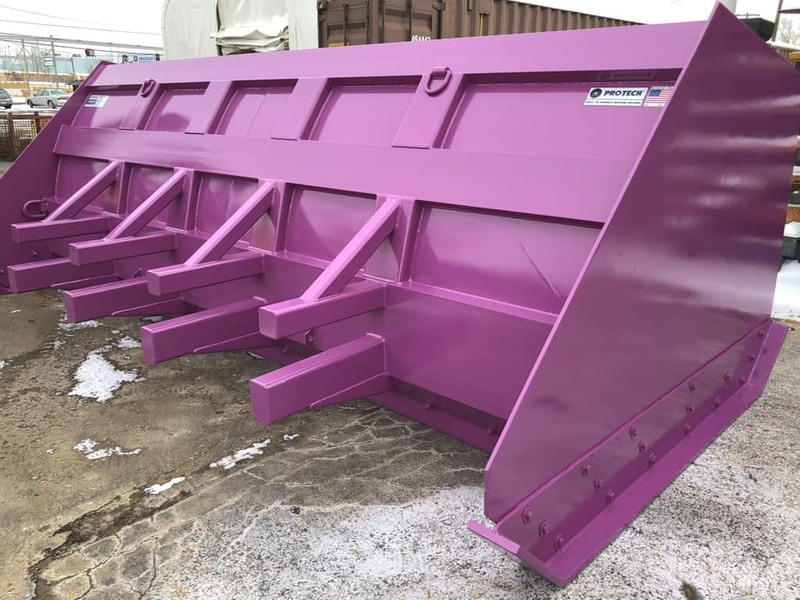 We have painted products red, blue, white, green, even pink! 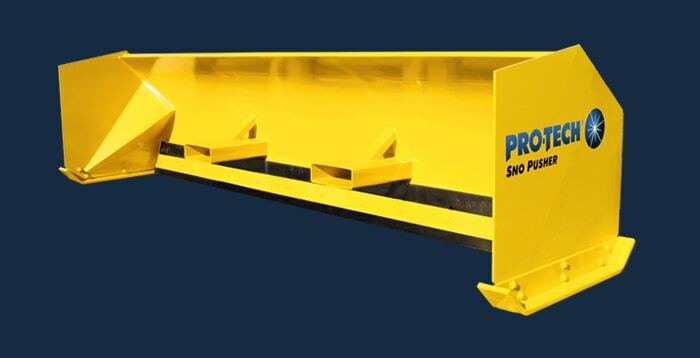 Take your company branding to the next level, even number your fleet for tracking purposes. 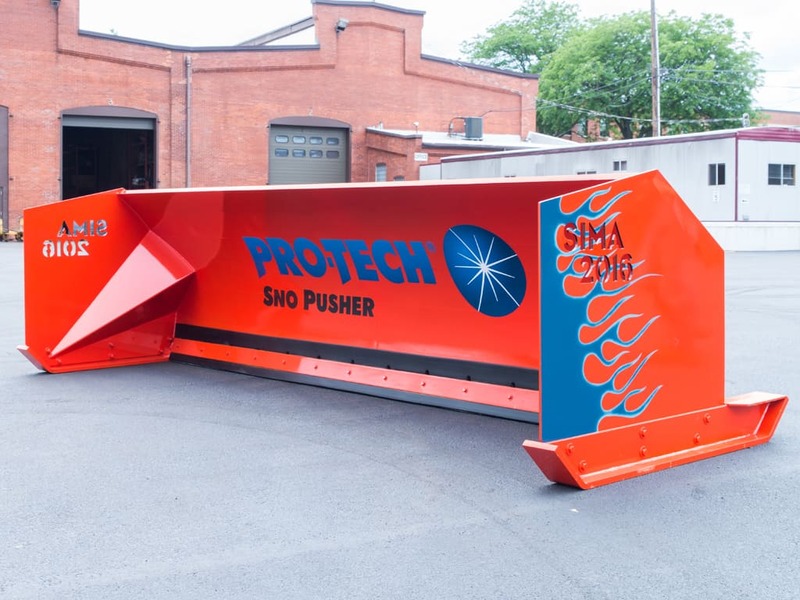 Pro-Tech’s plasma cutting services can cut custom designs into the side of your snow pusher. 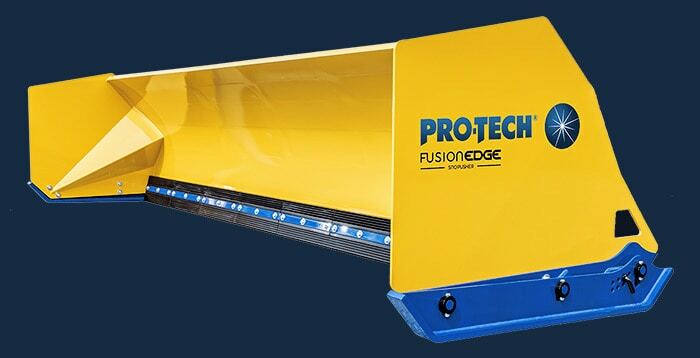 Our engineering staff will work with you to decide on the best design to help promote your brand. 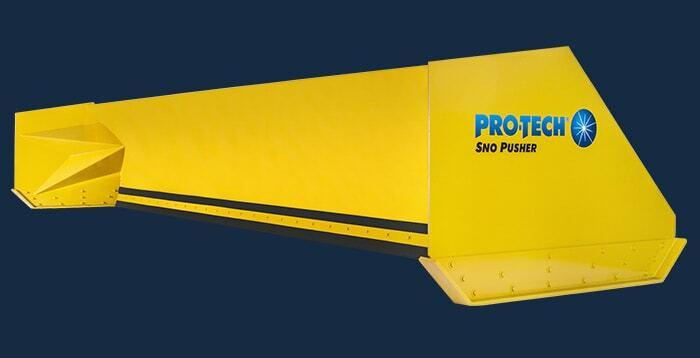 On the next page choose your snow pusher and select the “build” button to begin customizing how you push.